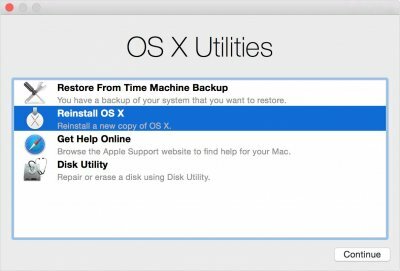 There might be a large variety of problems that occur on Mac OS, that deals with the issues from your directory, permissions, or user specific errors. Hence, you should employ best hard drive repair tool that will help you to navigate your way through hard drive issues that will fix your hard drive to prevent data loss. 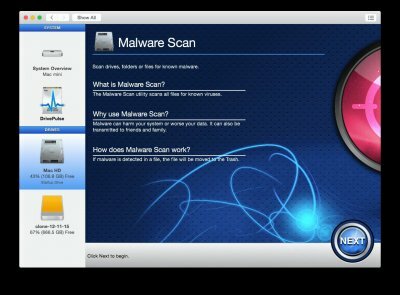 There might be some causes that you should aware with, that indicates corruption of your Mac hard drive. Improper operation : unplug device from PC without ejecting. Corrupted files and access errors. Bad Sectors Exists On Storage device. If you have experienced any of these errors, you can run the best hard drive repair utility and fix the problem with your hard drive. In order to avoid such unexpected storage device corruption error, its highly advised to update their USB driven SD card memory card, hard drive, partition external mac drive drivers timely, use your devices properly, clean virus with the anti-virus software regularly. But if still you pose some problems, then you should use disk repair software. 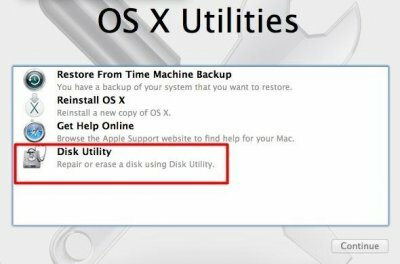 Disk Utility can fix certain several problems such as multiple apps shutdown unexpectedly, files get corrupted, external device does not work properly, or your system does not won't start up. This is known as Disk Repair that get started on your Mac OS. If you have another disk problem, then you can easily repair it with great ease. 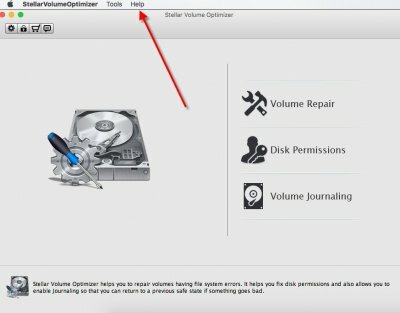 You can also check a disk or volume for problems, by using Disk Utility. Step 1 : Select a disk or volume in the sidebar, then click on First Aid button. 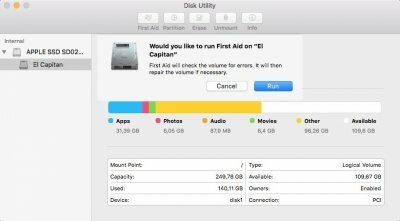 If you run First Aid on a Disk Utility, it checks the partition maps on the disk and performs some additional checks, then check each volume. 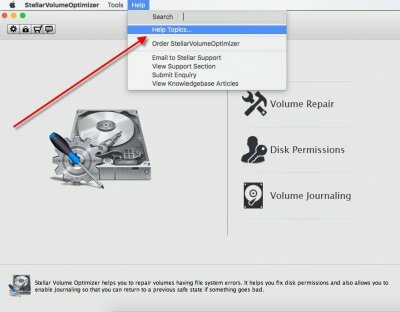 If you run First Aid on a volume, Disk Utility verifies all the contents of only that volume. 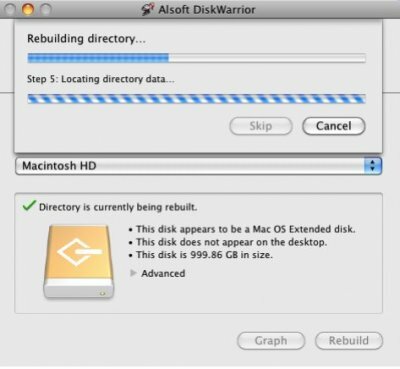 Step 2 : If disk utility tells you that disk or volume is about to fail, then you have to back it up and replace it. If it reports that disk appears to be Ok, then you are done. Otherwise you just need to repair the disk. Step 1 : Choose Apple Menu>> Restart. After your Mac restarts, press and hold Command + R key until Apple Logo appears, then release the keys. Step 2 : Then you have to click on the Disk Utility, and tap continue. Step 3 : In the sidebar select the disk that you want to repair. Click on the First Aid button. Click Run. You should always try copy and paste all files from the corrupt external hard drive to another destination. But it may result in some errors. Moreover the corruption will not allows you to copy and paste all the files from the disk. So, you are advised to have backup of your data. To run fsck command, you have to restart Mac and login as ADMIN. Just launch Terminal, enter df-h1 and press Return. Use of df -h1 that will tell you to know the path of the Internal disk drive. Invalid volume free block count, and likewise. 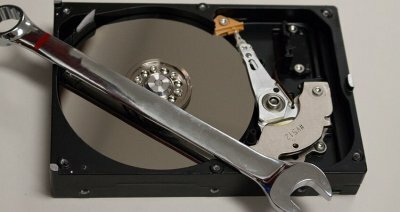 Though helpful, fsck is not sure method to repair your corrupted external / internal hard drive. You just need to take help from a professional disk repair tool that will rebuilds the corrupt directory structure and brings back your disk to life. 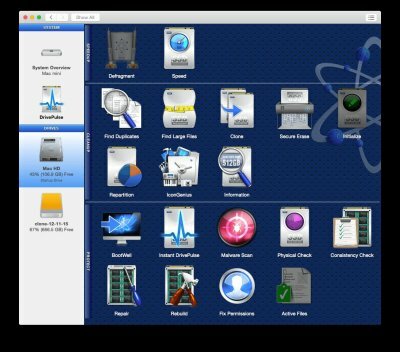 Stellar Volume Repair is a professional Mac Disk repair software that repairs the volume errors, and rebuilds any damaged directory and replaces the old directory with new one that get your Mac backup and running. The software checks for errors in catalog file, multi-linked files, extents overflow file, journaled files, volume bitmap, and volume information. Overhaul wide range of OS X disk errors. Rebuilds the damaged volume directory. 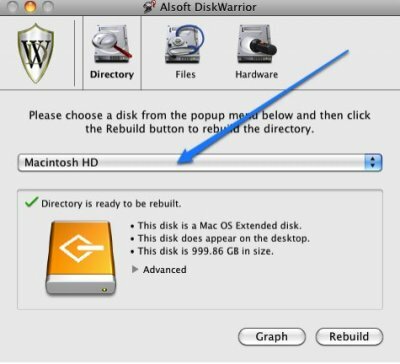 Repair disk permission on Mac. Option to roll back a volume to its previous state. 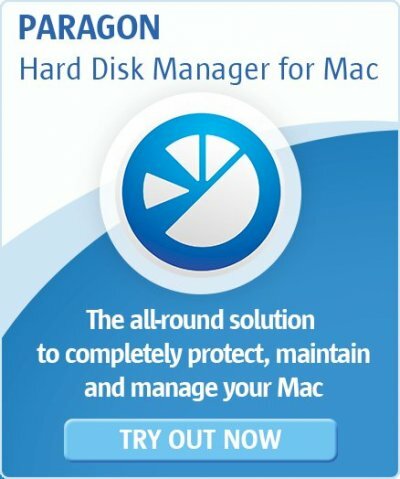 User – friendly and robust Mac drive repair tool. Compatible with Mac OS all versions. Step 1 : At first launch Stellar Volume Repair. Step 2 : Click Help >> Help Topics from the Top menu. Step 3 : Then after create bootable DMG file and burn the file to USB using disk utility. Step 4 : Now shut down MAC and press the power button. Step 5 : Hold on the Option button before the Apple Logo. It will bring up Drive Selection Menu. You have to choose bootable USB. Step 6 : Stellar Volume Repair will run in the bootable environment. 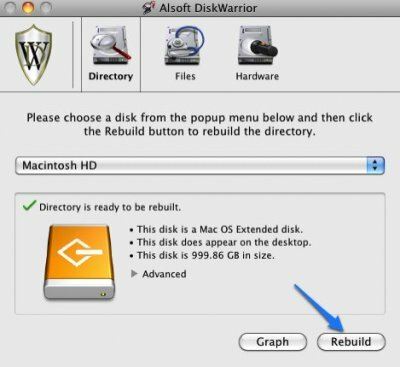 Click on REBUILD button to repair corrupt directory of the startup disk drive. Note : In case of an external drive or non-startup disk, you just don't need to create bootable USB. With the help of this Stellar Volume Repair, you can also fix HFS formatted SSDs and traditional hard drives. 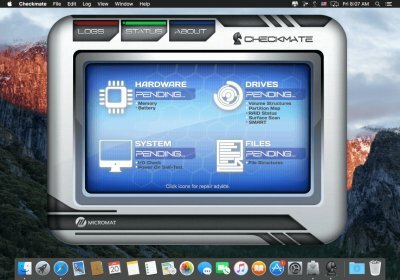 Introducing the most advanced Mac disk repair tool, known as Micromat Checkmate. 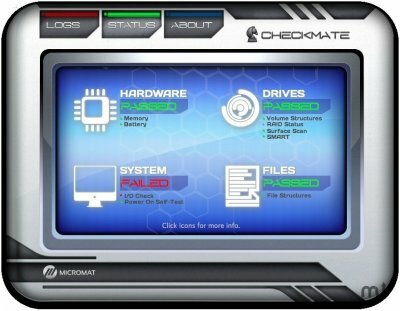 This is a computer health monitoring software by Micromat. Its powerful computer diagnostic product that is used without being an intrusion to your work. This software mainly observes your schedule and perform testing when your system is idle. Then, it quickly logs results and stays completely out of your way – unless it finds a serious problem. 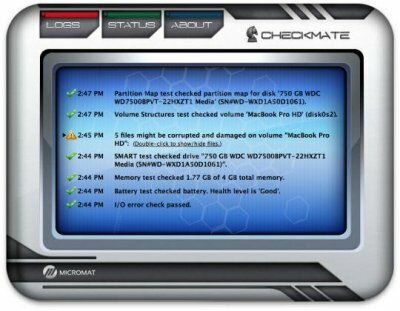 Then it will alert you to the issue and open Micromat Checkmate dashboard so that you can get not only full report of issue, but also read suggested steps that you can take to correct the problem. Additional Support for Mac OS 10.12 compatibility. Partition Map tests when an initial failure is encountered. Added some requested tooltip support for Surface Scan Test in Logs View. Updated German and Japanese Localizations. 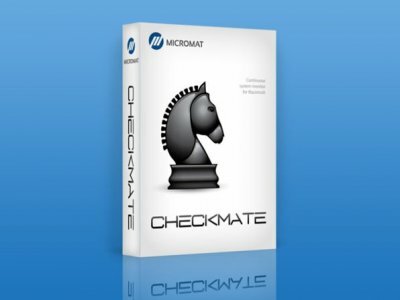 Step 1 : Once Installed, Micromat Checkmate icon get displayed on your screen. Step 2 : It test automatically, no action is required to perform the test. Step 3 : If any problem found, it will change color to indicate that a problem has been discovered. Step 4 : The icon will turn yellow for warning, red for failure. Step 5 : Just click on Found X Problem. Step 6 : In it X is the number of problem found. Step 7 : An alert icon appear next to test category that reports an issue. Step 8 : Just click that icon to get more info. 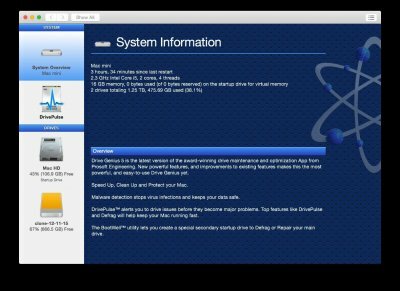 DiskWarrior 5 is known as the best utility that solves all of the common problems that you will likely encounter on your Mac. 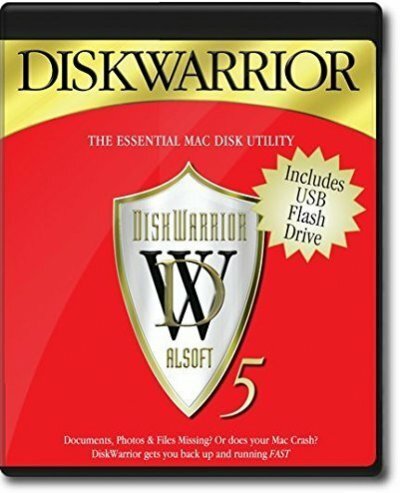 It makes a simple interface to perform the task of making a disk recovery from which you can startup your system, and access the features of DiskWarrior 5. it will create a DiskWarrior recovery Disk by copying the contents of an MacOS recovery disk, and a serialized DiskWarrior 5 application to a suitable flash drive. 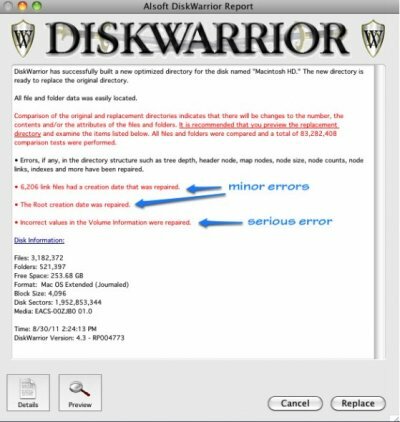 Once completed, you will be able to startup your computer from DiskWarrior recovery disk and run this application. 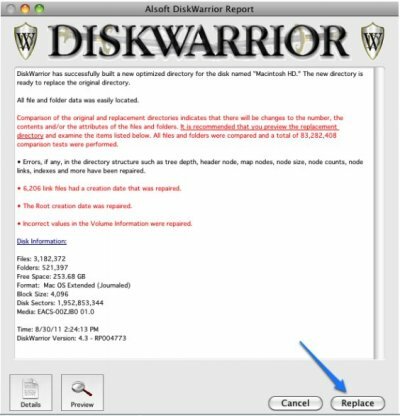 Using latest 64 Technology, it allows DiskWarrior 5 to handle even the largest disks. Ships on a bootable flash drive to repair your startup disk. Also includes the new DiskWarrior Recovery Maker. Recovers more data from drives with hardware malfunctions. Detects and repairs more disk problem than ever. Step 1 : At first launch DiskWarrior 5 (Alsoft DiskWarrior) software. Step 2 : Now, select the hard drive to be repaired. Step 3 : Click on rebuild to begin the repair of drive. Step 4 : Just Wait for the DiskWarrior 5 to complete the Wizard. 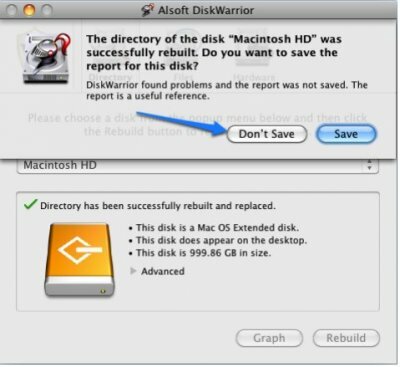 Step 5 : Then review DiskWarrior 5 report. Step 6 : Replace the drive directory. 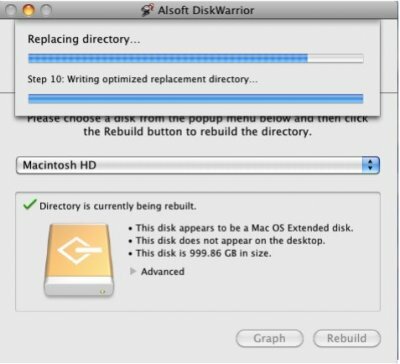 Step 7 : Wait for the DiskWarrior to create a new disk directory. Step 8 : Don't save the report. 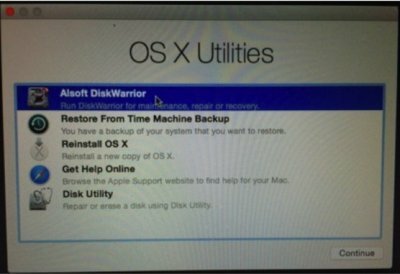 Repair additional hard drives and then Quit DiskWarrior 5 to restart. Since its release in 2004, Drive Genius 5 has been the industry leader for Mac hard drive tools. This is Prosoft Engineering's new product, helps maintain and protect all the important data of your computer. This is mainly designed to prevent hard drive failure. The core features of Drive Genius 5 is automatically includes the monitoring of the performance of all drives. This monitoring system detects potential data corruption and excessive fragmentation on your drives. It will alert you of any possible and logical issues before they become serious problems. This software generally predict drive failure before they occur. Step 1 : At first launch Drive Genius 5 and see its set features icon. Step 2 : System Information : For this open Drive Genius 5 and select it from Menu bar and click on About Drive Genius 5 . A dialogue box appear on your screen and display serial number on bottom partition of window. 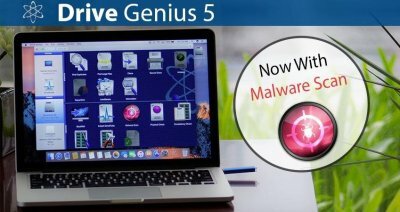 Step 3 : Malware Scan : Drive Genius 5 also scan your system for free in real time and systematically on demand with Malware scan. Infected files will move to the Trash. 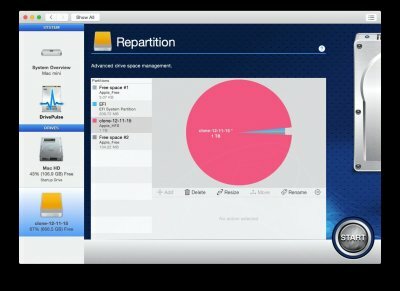 Step 4 : Repartition : Your hard drive need repartition. Your hard drive has accrued millions of important computer files, due to this reasons, your system performance has slowed down. So, Repartition helps you to manage partitions on your hard drives, that allows you to shrink or expand partition without losing them. 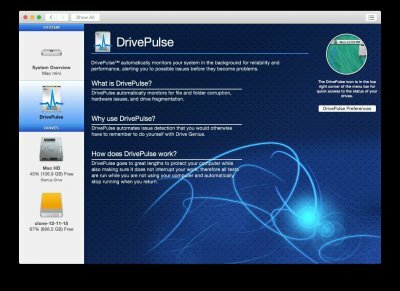 Step 5 : Drive Pulse : Drive Genius 5 does not wait for you to initiate a scan, it actually monitors your system for problems and warns you as soon as possible using Drive pulse feature. Step 6 : Icon Genius : Drive Genius 5 set a custom icon for a drive. Personalize and make drive identification easier with fun, useful and cool icons. Paragon Rescue Kit is a Linux based bootable recovery environment that will gives you am opportunity to get access to the hard disk for maintenance or recovery purposes in case of its malfunction, a virus attack, or system failure. Its main objective is to avoid data loss by transferring valuable information from a failed hard disk to some other destinations, like a removable drive or network share. Besides that, it can be used as real alternative to the Mac OS native disk imaging tools. 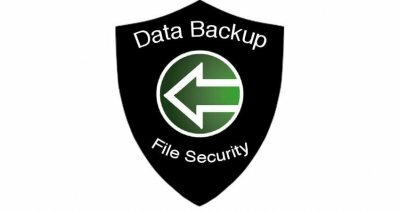 With its help you can easily make a backup of your system or data partitions, and providing the ability to restore it any time you need. Installation free recovery environment (Linux Based bootable CD/DVD) . Step 1 : At first select a Disk and Partitions in the upper area. Step 2 : Then right click a block of free space, and then select Create partitions. Step 3 : Define a partition size and its positions relative to the beginning and at the end of selected block of free space by manually entering desired values. Step 4 : To store data on created partitions you just need to format it to one of the supported file systems. Just mark the corresponding check box, and select desired files system from pull down list, and enter volume label, to easily identify partitions later. Step 5 : Then click on Ok, when its ready. All introduced changes to the disk layout will be pended until confirmed. 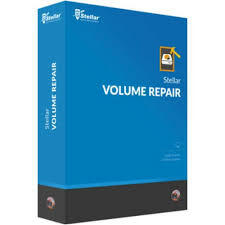 Stellar Volume Repair is highly advanced Mac drive repair tool to repair your corrupted volume or partition on Mac OS X. This is effectively rebuilds any damaged directory by replacing it with a new one. Besides that, this tool is capable of overcoming a broad range of OSX volume errors. 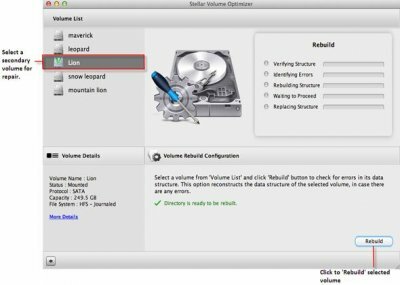 Here you can easily repair HFS partition and MAC volume by using Stellar Volume Repair user-guide. Verifies and Repairs Volumes corruption. Rebuilds damaged Mac OS Directory. Verifies and rebuilds disk permissions for boot volume. Facilitates volume journaling non-boot volumes. Verifies and repairs directory errors in External Storage devices. Step 1 : Unpack StellarVolumeRepair.dmg.zip file. Step 2 : Decompress the zip file and then double click on dmg file. It will mount a virtual volume on StellarVolumeRepair. Step 3 : Double click on StellarVolumeRepair volume to open its application window. Step 4 : Drag Stellar Volume Repair file into the application folder. 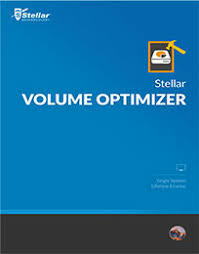 Step 5 : To launch this software, double click on Stellar Volume Repair file in Application folder. Step 6 : It will display License Agreement window. If user accepts the agreement, then this software will launch successfully, otherwise it get terminates. "Really thanks for such a wonderful software. It really helped me to recover my lost files from Mac hard drive." © 2019 Macundelete.n.nu. All Rights Reserved.